In Russian, RPD stands for: Ruchnoy Pulemet Degtyarova which translates into: Degtyarov Light Machine Gun according to Max's ModernFirearms site, or hand-held machine gun of Degtyaryov according to Wikipedia. The dust-cover has the Radom Circle11 proof mark and a date of 1960. I haven't had anyone to ask yet if all serials match or if they force matched the receiver to the original parts kit serials. It is the RPDM variant made in Poland; not an RPD Egyptian. They put out rifles built from both types of kits and no way did I want an Egyptian one. Really for two reasons. First I do not have any Egyptian guns but i do have several Polish, so a Radom RPD would fit my collection so much better. Second, the Radom guns had many of the late-model product improvements that I think are just neat. 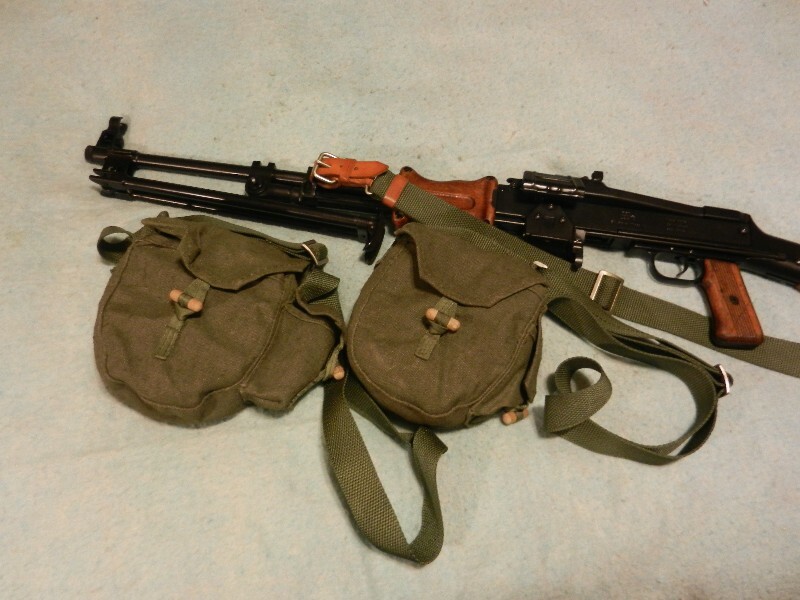 The rifle came with: 4 - 50 round belts, 2 belt containers (aka drums), 2 drum pouches with shoulder strap and side pocket for stuff, a nice condition original sling, a drop-case, buttstock cleaning and tool kit, cleaning rod, large oil bottle, and blank fire muzzle adapter. So a pretty complete kit I'd say. Sights Open-type sights with rear sliding notch and semi-hooded front post, 596.6 mm (23.5 in) sight radius. Both are adjustable for windage and elevation. The RPD was developed by Vasily Degtyaryov during WWII. His design won out after a Soviet mandated trial to develop a new light machine gun that could fire the then new 7.62x39 M43 cartridge. In 1943, the government asked Vasily Degtyaryov, Sergei Simonov and Alexei Sudayev to each submit a new MG design for the new cartridge. The RPD by Degtyaryov was declared the winner in 1944 and it was authorized for further refinement and serial production. It was said that the RPD was more reliable and durable than the other designs and that could very well have been true. 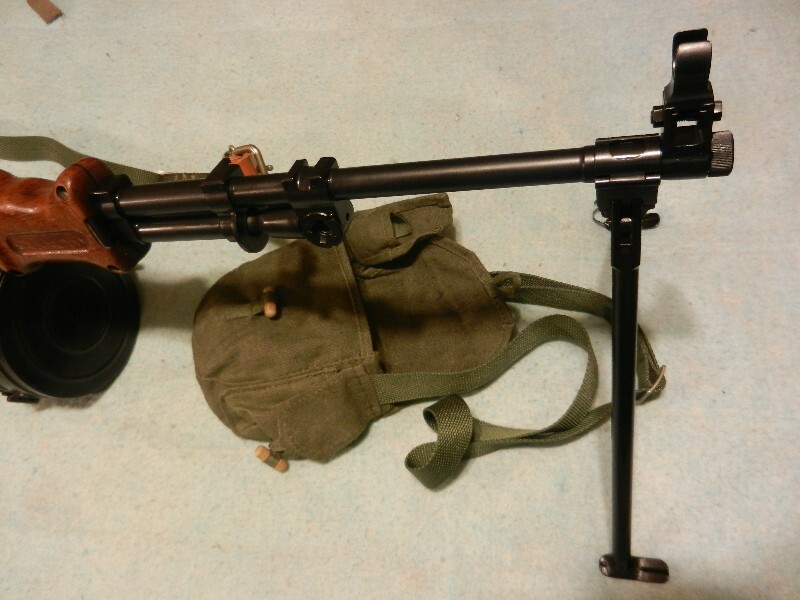 Its also possible that a bit of favoritism was shown to Degtyaryov as the Soviet Army had been using his DP machine guns in 7.62x54R for a number of years already. As well, Stalin was known to play favorites as with the TT33. The Man of Steel just liked Mr. Tokarev, so his designs got fast tracked. Maybe he liked Degtyaryov too, or maybe the RPD really was that much better than the rest? At any rate, the RPD was ready for production and general issue by 1945, but the war's end delayed its deployment. A few RPDs were shipped to the Red Army during the 1940s for testing, evaluation, and limited usage; but it wasn't until 1953, that large numbers started to appear in the hands of Russian soldiers. 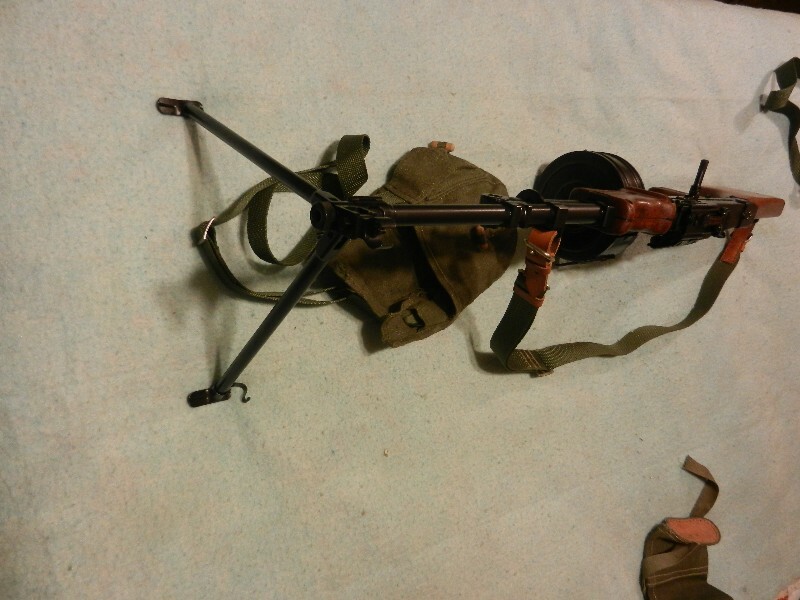 The RPD replaced older DP, DPM, and DPT machine guns and fullscale production continued in Russia through 1959. I know 6 years doesn't seem like a long time, but remember this is Soviet Russia we are talking about here; the guys who manufactured over 20 million Mosin Nagant rifles alone while at the same time under invasion by Nazi Germany. So in peacetime and with the desire to do so, they could and did make a lot of RPDs during those years. In 1956, both Poland and China also started producing licensed copies of the MG. Later, Egypt and North Korea also domestically built RPDs. In China it was known as the Type 56, in N. Korea as the Type 62, in Poland it was designated the RKM-D, and in Egypt as the RPD or Suez. So not that many nations actually manufactured the weapon, but many used it. Here's a list of users from Wikipedia. The list was missing Poland of all nations, so I bet it leaves out others too, but it gives one a good idea of how prolific the RPD became. It seems like Russia and China were the biggest global exporters, with Egypt selling mostly to other African and Arabic nations. Polish and North Korean production was mostly for domestic use. 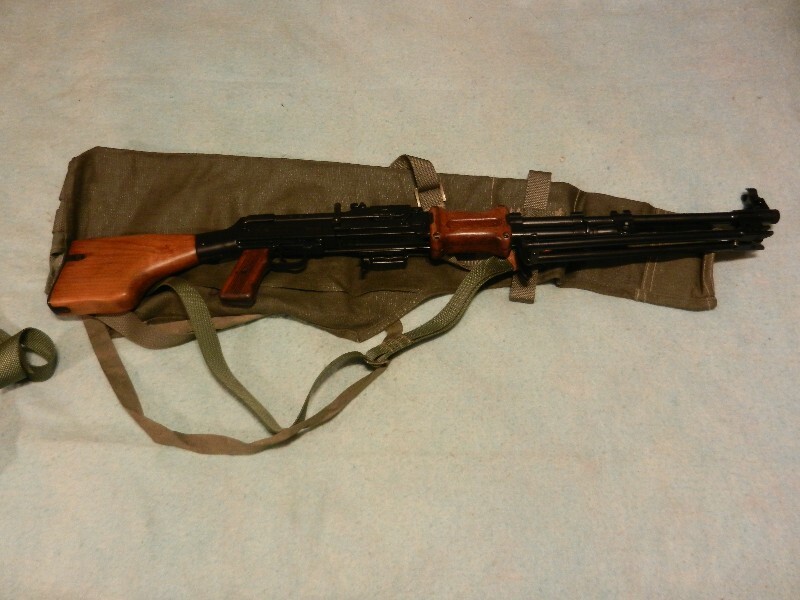 The RPD was officially replaced by the RPK of AK design in 1959. 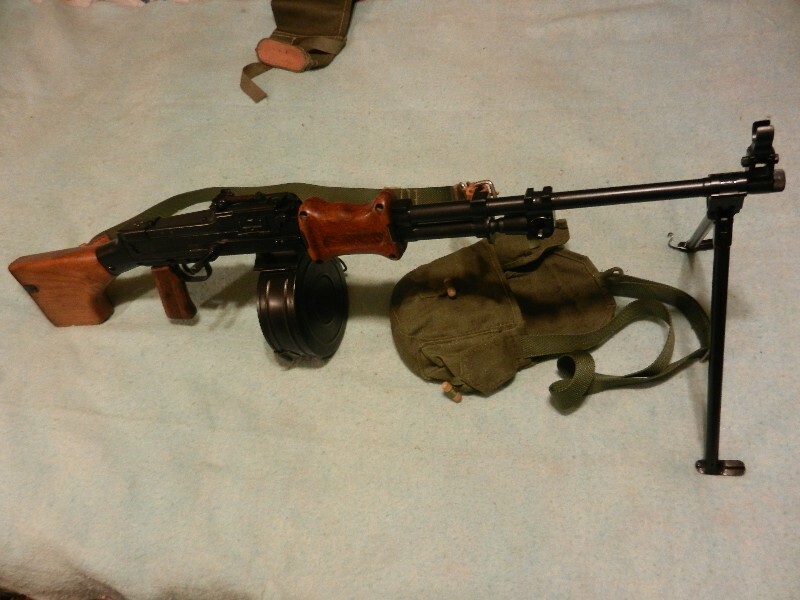 The RPK was cheaper and faster to produce; being made of stamped steel parts instead of forged ones. 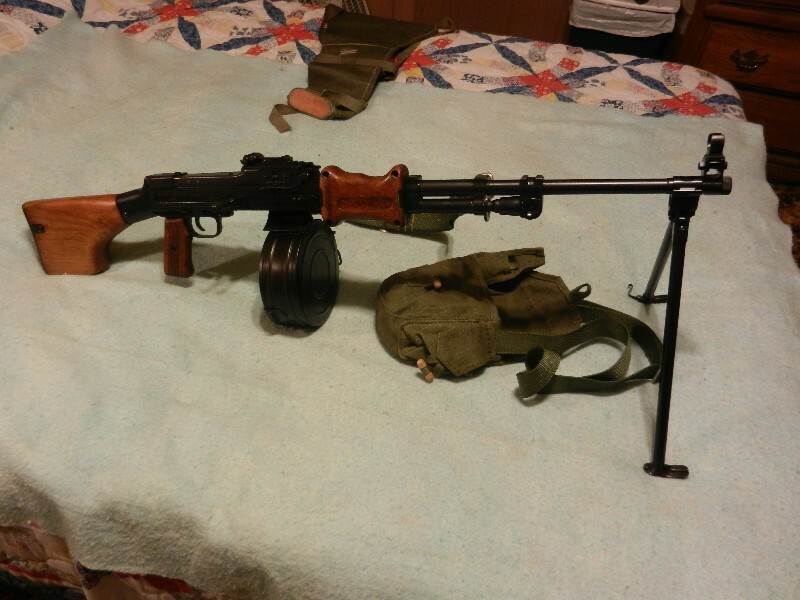 Also, it used many of the same parts as the AKM and could accept the same magazines. 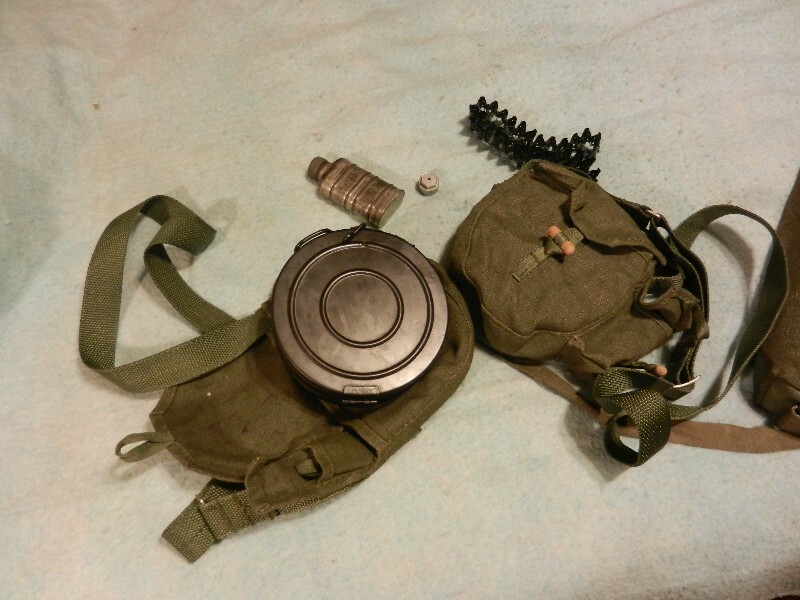 So RPDs were slowly phased out of service in Russia throughout the 1960s and were mostly gone by 1970. According to Max's Modern Firearms site, many soldiers preferred the RPD over the RPK and resisted the changeover. He goes on to state that some RPDs can still be found in reservist arsenals in the Russian Federation even today. It soldiered on in many other nations such as Poland, Egypt, Hungary, and Romania for many more years. It was the standard general issue machine gun for the North Vietnamese during their war with the US and was quite popular with VC soldiers. It wasn't replaced until well into the 1990s in fact. It was equally popular in Iraq during the 1980s Iran-Iraq War. 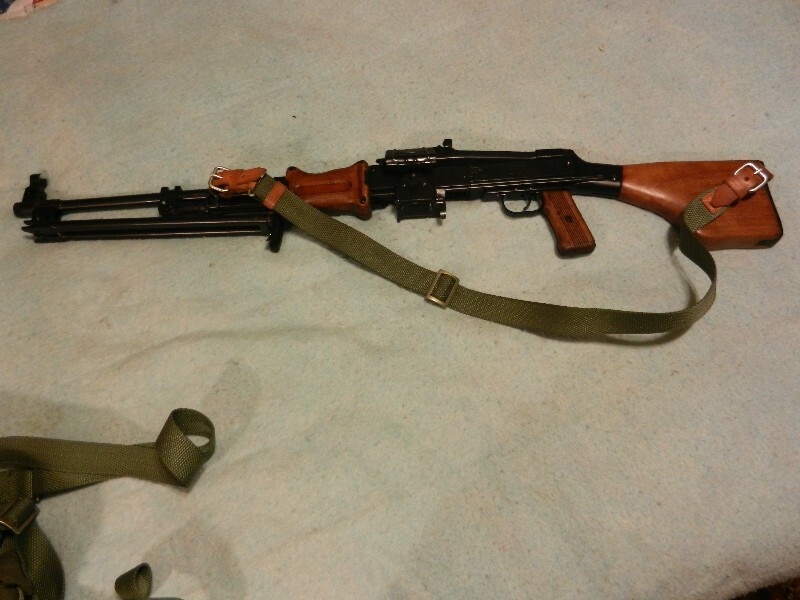 The RPD served along side the RPK during that war and the Iraqi Army had versions from just about every manufacturer, but never actually had a domestically produced version. It is still in use today and has been used with and against American soldiers in both Gulf Wars. The RPD is still very common in Africa and some parts of East Asia. Its a simple, robust belt-fed that fires commonly available ammunition. They just keep getting traded around; going from one hot spot to another all around the world. RPDs will probably still be popping up on battlefields several decades in the future. See, when nations actually ship us in the USA their old guns and we convert them to be civilian legal, we are actually helping reduce global arms trading! The RPD is technically a light machine gun or squad automatic weapon. In fact, it is in a way, the father of the whole idea of a SAW. 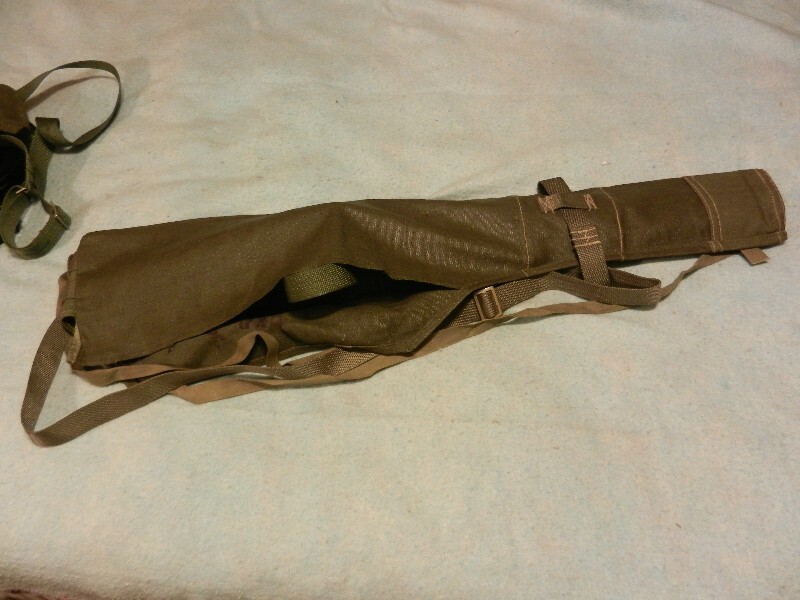 It has a fixed heavy 21" long barrel with non-detachable folding tubular bipod. The barrel is threaded on the end for a blank fire adapter and otherwise will have a simple muzzle nut on the end. It is this barrel arrangement that limits the RPD as an LMG and that has earned it a great deal of criticism. Since it can't be quickly removed during a fire fight and swapped with a fresh barrel, if too many rounds are fired too quickly, the barrel can overheat. The weapon's mechanical rate of fire is 650 rounds per minute, but its practical rate is only 150. Any more than that and problems arise. The barrel is screwed into a forged main receiver with hinged top-cover. This cover is made of rather thick steel and very durable. The weapon fires only in full-auto and from an open bolt. When the trigger is pressed, the bolt is forced forward by the mainspring, a round is stripped from the belt/feed-tray, and once it reaches the end of its travel, two flaps on either side come out and engage milled out slots in the receiver walls. Once the bolt is fully forward with a round on the bolt face, and the bolt is locked into the receiver by the flaps; a striker type firing pin is released and the cartridge is ignited. Then the projectile travels down the barrel and once it passes over the gasport located on the underside of the bore, gases behind it travel down and exert pressure on a long-stroke gas piston. The piston in turn strikes the bolt carrier, which unlocks the bolt, and everything travels rearward, ejecting the spent casing. The RPD has an adjustable gas block with 3 positions to allow the user to assure reliability without over gassing the action. The main return spring is located in the top section of the buttstock. There is a manual safety located on the right side of the receiver above the trigger guard. The front sight is adjustable for windage and elevation by use of a tool and has two protective ears on each side. The rear sight are mounted on the dustcover and can be adjusted by hand for both windage and elevation. The rear sight too is protected by two ears. There is a charging handle located on the right side of the receiver and a mounting block for the belt container/drum on the underside, with a lever that locks it in place. These drums are installed from the rear and are just hollow containers for the belts. Each belt holds 50 cartridges and 2 can be linked together. The first belt will have a starter tab and the second one is held to it by a linked round. The belt is fed in from the left and is non-dissintegrating and reusable. Each drum has a dustcover for the ammunition port and a carry handle. It can be opened from the rear also. 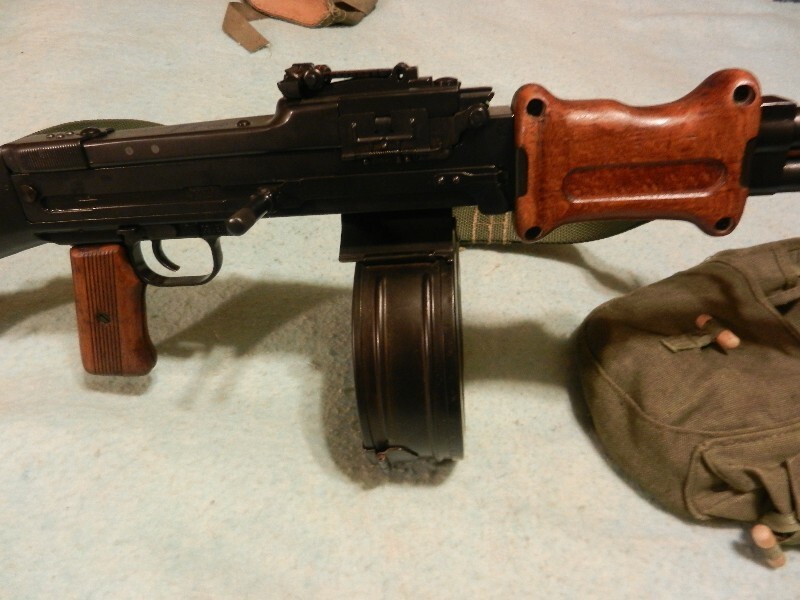 The machine gun's furniture is made entirely of wood: handguards, pistol grip, and buttstock. It is designed to be used with the bipod, but can also be shoulder or hip fired if required. The handguards completely enclose the barrel and gas cylinder. The pistol grip is made of two panels and the buttstock is paddle style. It has a storage compartment for a tobacco can style cleaning kit. The way the compartment opens is a bit unique. A spring loaded lip is depressed and at the same time the operator rotates the large cover. The cleaning rod itself is a single piece design and is stored on the left side of the receiver and runs from the gas block to just behind the pistol grip. It is removed by pulling up on the rear end and back towards the buttstock; not forward as on most other weapons. Between initial design in 1944 and final production in Russia in 1959, the RPD was upgraded and altered in a few ways. One of the earliest improvements was that chromelining was added to the bore and gasblock. This increased the barrel's service life and made cleaning easier. Two very good things for a machine gun with a fixed barrel. Another early on change occurred with the rear sight as the windage adjustment knob was relocated from the right to the left side. Obviously this change meant the operator could use the off hand to adjust the sight, without reaching over the entire weapon. 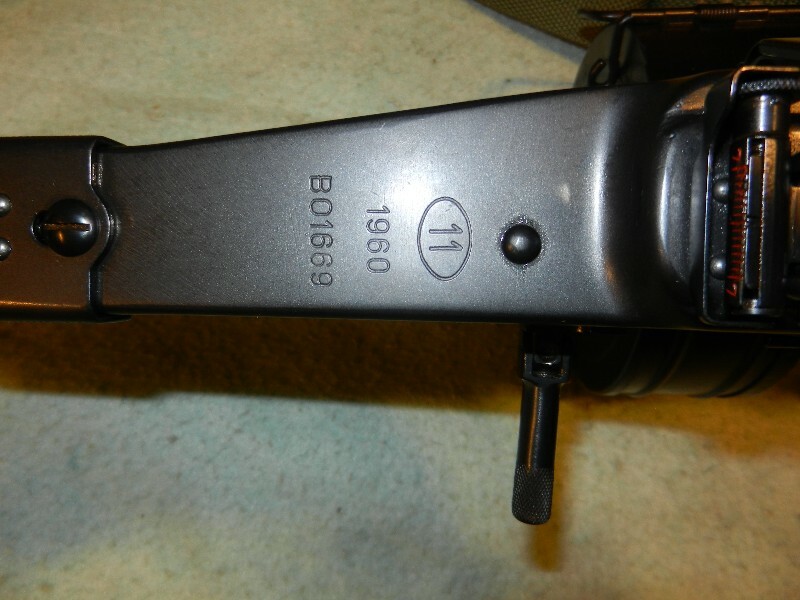 In the mid 1950s, the charging handle was changed as well. With the original design, the handle was fixed to the bolt carrier and moved back and forth with it. The upgraded handle was non-reciprocating and also could be folded upward when not in use. Around the same time, a dustcover was added to the feed port. Now, I am unclear on something. With my late model gun, there are actually two dust-covers: a small one on the right side and a larger one on the left. I am not sure if both were added during the upgrade, or if only the larger one on the left was and the smaller on the right was always present? Either way, the weapon was made more resistant to dust and dirt. It seems a final round of changes were implemented during the late 1950s. The gas cylinder was made slightly longer, i assume for better reliability or durability? Those seem to be the two driving features behind com-block weapons. Also, I have read in a few places that a recoil buffer was added inside the buttstock. Well, the mainspring is already in there, so I am thinking it might be something for it to ride in better or that lessons felt recoil? I am unclear on this last round of changes as sources are vague and there are not that many of them. As far as who made which version, it seems Egypt mostly kept to the original design, even going so far as to retain the reciprocating charging handle. Poland on the other hand made mostly the fully upgraded/altered version, often referred to as the RPDM (M for Modern, like the AKM or PKM). China's Type 56 was very similar to the original Soviet pattern, but it later introduced the Type 56-1. This version lacked the fixed drum retaining hanger, instead relying on a modified dustcover flap to hook the drum onto. Also, it replaced the side mounted single piece cleaning rod, with a two piece version which was stored in the buttstock along with the other cleaning tools. I decided to get an RPD after years of wanting one, but frankly until recently, not able to afored one. What pushed me over the edge was seeing one at my friend Bill's shop back in February. I was impressed with the quality of the milled receiver, trust the DSA name, and just...it felt right you know? So the next week i called DSA and ordered one. The pictures you've been viewing throughout this thread and the gun I now own, are not the gun i ordered from DSA. The rifle i ordered from DSA never shipped to me. So what happened? Honestly I have not a clue. Anyway, the rifle still isn't ready and the reason is murky to me. So how do I like my rifle after 3 months of waiting? I love the damn thing. The build quality is great, they took the time to do all the little things like dust-covers, side mounted cleaning rod, and just a solid overall feel. This gun feels like an LMG and like it could go through combat no problem. I also love that they ship it with all the goodies rather than trying to sell them at an extra cost. One thing to note, in the past, DSA would make the receivers for these and ship them to Wiselite who would actually assemble the rifles. Some of the Wiselite guns seem to have worked fine and others not at all. It was enough of a crap shoot that DSA cancelled their agreement with WLA and began building everything about the semi RPD in house. My friend Bill has sold 3 of these so far, not counting mine. He told me all of the DSA made ones have run fine. Here's to hoping all of my bad luck was just in getting it and now i will have a fun and unique shooter and keeper. 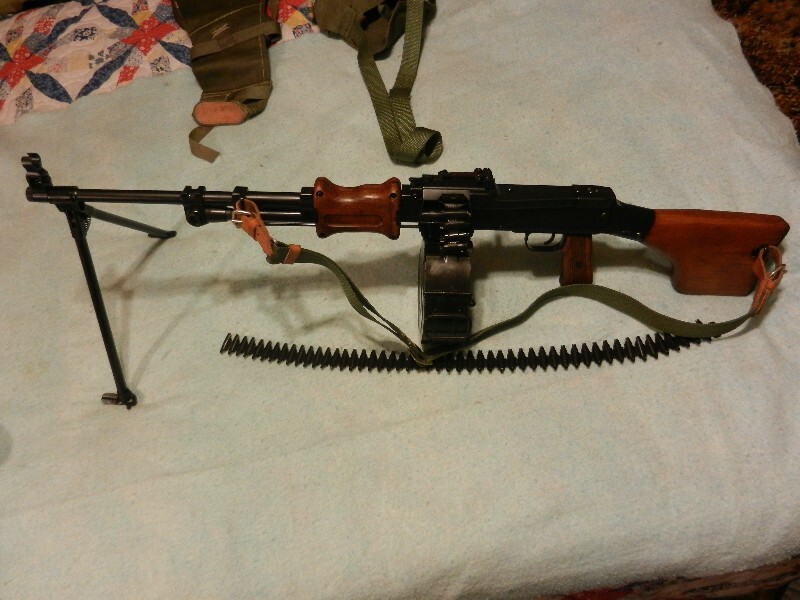 I am going to give this one every possible chance as its really about the only belt fed I can afford to have and fire. The 1919s are about the same price, but 7.62x39 is a hell of a lot cheaper than 7.62x51mm NATO or .30-06. Also, with my Russian collection, the RPD just fits in better anyway.